Be wary of the axes which are used to define loads. By default, loads are along the global axes however distributed loads can be defined with respect to the local member axis. Similarly, plate pressures can be defined globally or locally to the plate. Also remember that the local axes of members and plates can be viewed and toggled from the Visibility Settings. 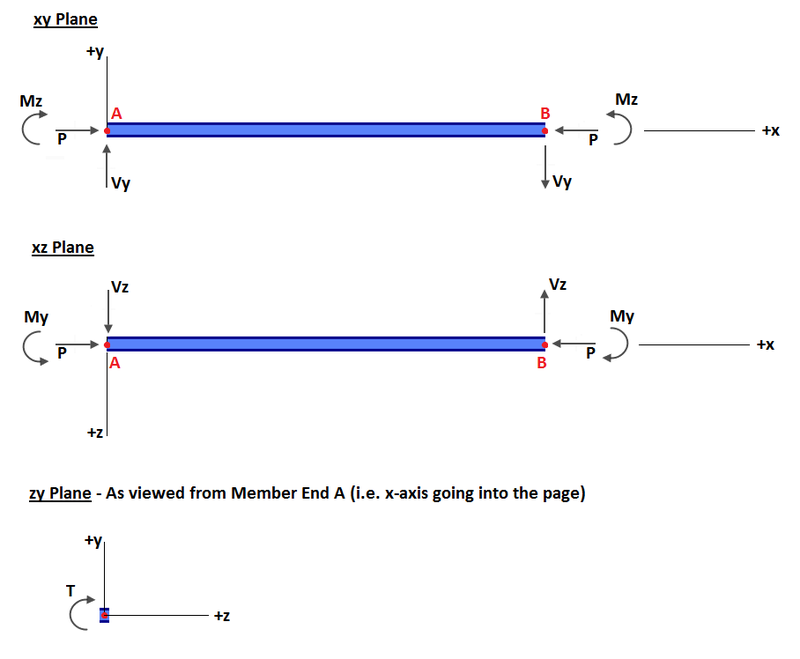 Positive Shear (V): Node A of the member translates in the positive axis with respect to Node B. 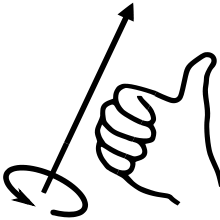 Positive Torsion (T): Node B rotates clockwise when viewed from the Node A end. Or Node A of the member rotates counter-clockwise when viewed from the Node B end. Both instances conform to the right-hand rule. NOTE: There is a setting in Settings called “Reverse BMD Sign” which reverses the sign convention of the bending moment diagrams to suit whichever convention you’re most familiar with.